Brooke Kinley Adventures | Journalist. Adventurer. Sister. Outdoorswoman. A young woman rescues a trafficked Russian child while paddling in northern Minnesota. But will the price of heroism be her own life? In Afghanistan, a US Army Patrol is devastated by an enemy with sophisticated weaponry, while in D.C., Pentagon staffer Scott Jenson tips off the ambitious young reporter Brooke Kinley about a billionaire businessman’s involvement in terrorism. But why is the White House determined to protect this businessman, and why does the answer seem to lie in the Canadian wilderness? In a dangerous journey to the remotest parts of the world, Brooke races to prevent a catastrophic attack on America, but can she uncover the real traitor? Nick Hazlewood, author and screen writer. Pat Moren, reviewer and blogger. 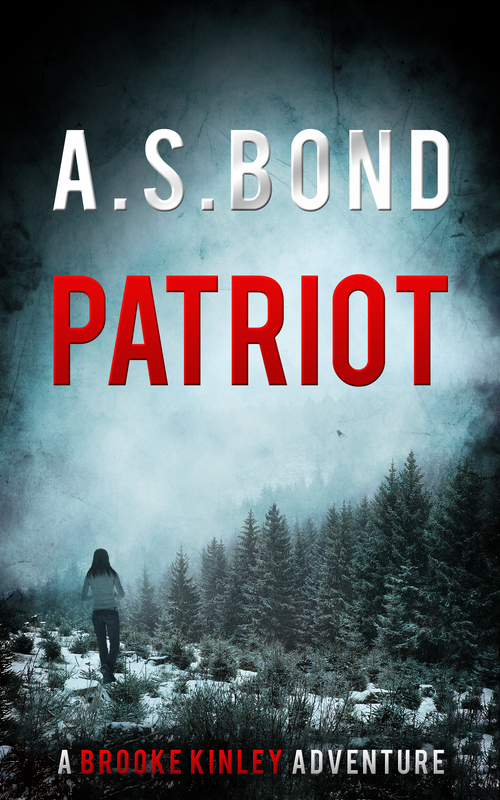 Patriot is a pulse pounding, high octane adventure thriller with an insider’s view of Washington and a heroine who is as happy running rapids as she is asking difficult questions at the Pentagon. For fans of Clive Cussler, Andy McDermott or Stella Rimington. I started this book in the early afternoon the day before I finished it. I read continuously until I couldn’t stay awake any longer. And then got up in the morning had breakfast while reading the book again this is been one fast-paced thriller and I can’t tell you how much I enjoyed it. It’s about noon when I’m finished, and just wondering when I can read this good for the rest of the day. Thanks so much for posting your comment. I love to hear about readers who have enjoyed meeting Brooke. I am working on my next novel, so watch this space! Author A S Bind has created a character to be proud of. And I can’t wait for the next installment! Brooke Kinley is as believable, and empathetic a character as I’ve met yet. And she’s uniquely situated at the seat of action in today’s fast moving world, with a background and skill set very suitable for adventures to come. It isn’t very often that I take a liking to a character so quickly, but Brooke Kinley has all the potential to be as good as today’s best protagonists – and then some. Her tenacity, bravery, and fierce determination make her a formidable force. One that every reader – male & female alike – can identify with. I was up all night last night trying to finish PATRIOT, But finally had to put it aside just before dawn, with three chapters remaining. Those, I completed tonight. Or I should say, I savored them, every one. The writing is just that good! Thanks so much, Randy! It’s always great to hear from readers who have enjoyed my work and I’m really pleased you liked this first adventure. If you haven’t already, sign up to my mailing list to get a short prequel novella featuring Brooke for free. It’ll be out very soon and I promise you a full length adventure later in the year! Please notify me of any new books when you publish. I certainly will, Jan. You can expect the third instalment of Brooke’s adventures early in 2017. In the meantime, sign up to the Brooke Kinley newsletter to keep up to date with the latest news, offers and freebies!